Material: Velvet,soft and comfortable to wear. Garment Care: Hand-wash Dry Clean. The total Length include the cape length. Please check our size above carefully and allow a little size differences due do manual measurement.Material: Velvet,soft and comfortable to wear. 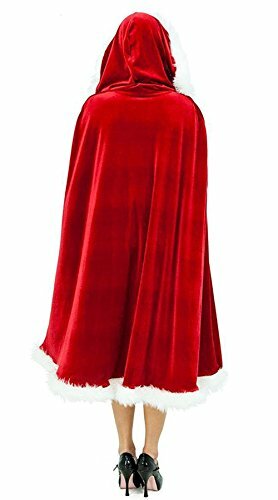 Color:red; One-piece design: Cloak with hat. 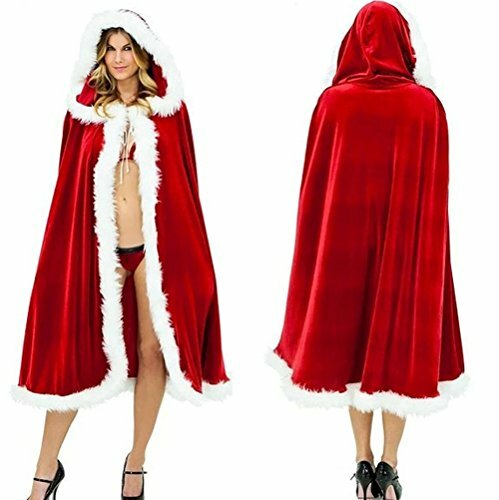 It usually takes 3-5 days with Expedited shipping service,and 7-15 days with Standard shipping service you can receive your capes. 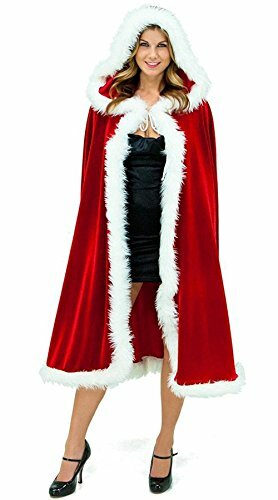 Occasion:Suitable for Christmas activities and theme party activities.Be the gift for Halloween, Christmas Day, Mask Festival or Dance Party.